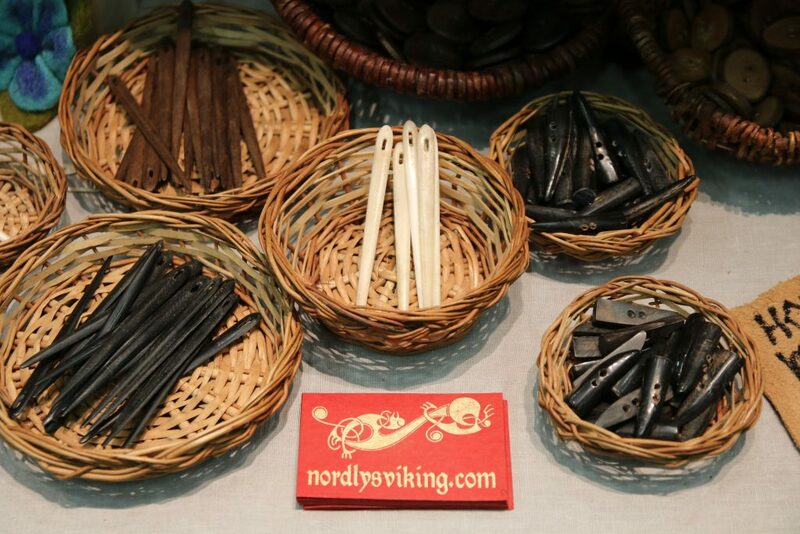 This weekend I was visiting the Swedish fair for crafts and creativity, just to see if I could find something interesting and/or new. As I’m on a yarn diet still I was really trying not to have too close a look on all the lovely yarns lying around there, but I’m proud to say that I kept my promise to myself and didn’t buy anything. 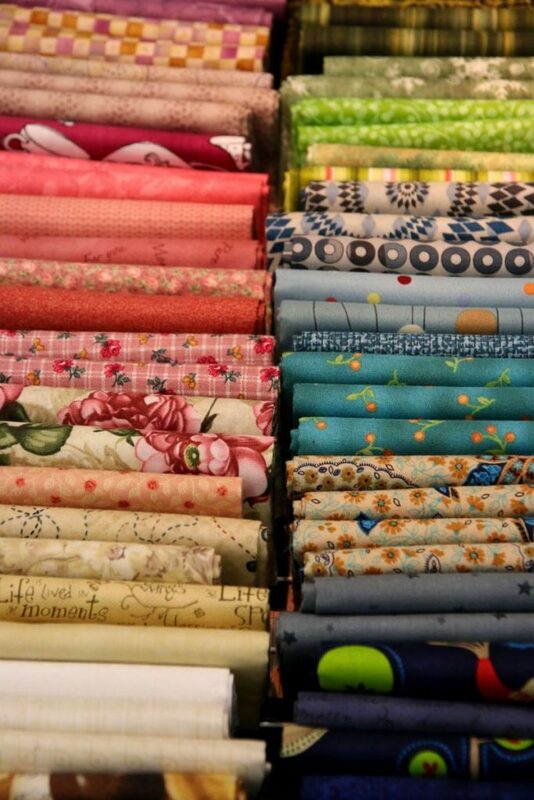 The exhibitors and workshops cover anything crafty from sewing, knitting, sewing, jewelry making, quilt and patchwork, crochet, needle work, weaving and lace-making. In short: There’s a lot to see and try out for everyone. 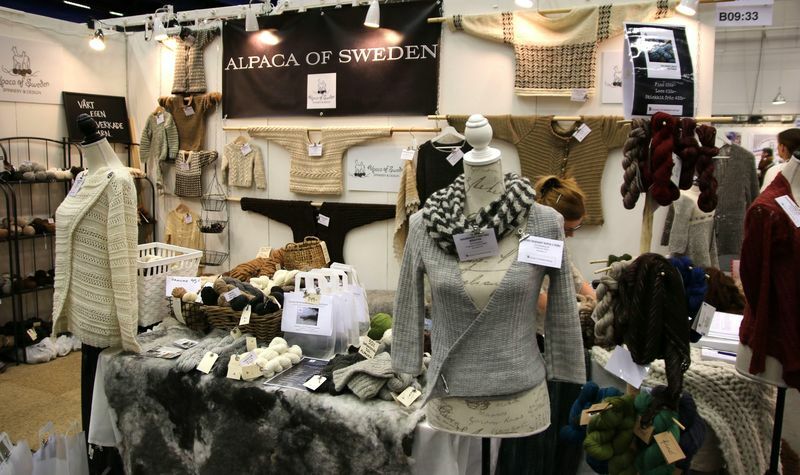 Syfestivalen is a regular fair that is held twice a year in Stockholm, Gothenburg and Malmö and attracts thousands of crafty people. 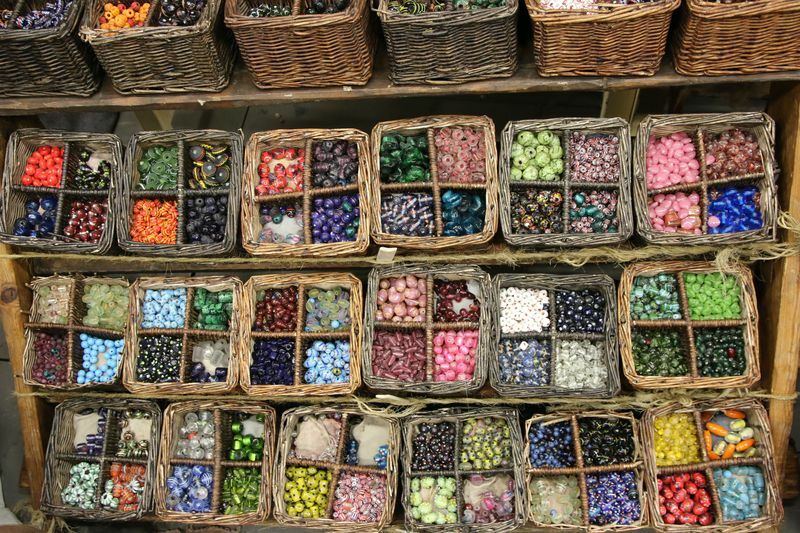 Anyone feeling like shopping for materials, participating in one or the other of the various workshops or just getting new ideas. And boy, there are a lot of them around. I’m extremely happy that I’m not (yet) into sewing or paper crafts, else my head would have exploded long before reaching the second half of the fair. 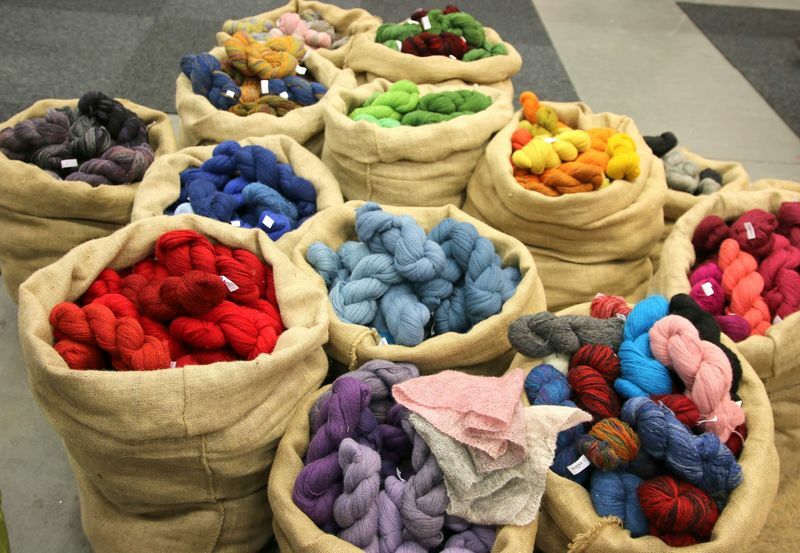 Although I must say that if you have visited a yarn show or a crafts fair in any other European country you’ll probably be disappointed by the range of yarnies and designers you’ll find here, but I really liked the ones I met. I decided to go on the last of the three days, to be sure to enjoy the booths a bit without the pressing crowds that usually flood the place on Friday and Saturday. The Sunday was really nice and quiet (nice for me – maybe not so enjoyable for the exhibitors, but at least that way I got a real chance to talk to some of them without being pushed aside by the usual material hunters). Not really looking for something makes the experience much nicer, I think. That way I could really appreciate all the splendors on exhibit much more and it was lovely to see that even the usually shy Swedes come together crafting and laughing while trying out new techniques and materials. 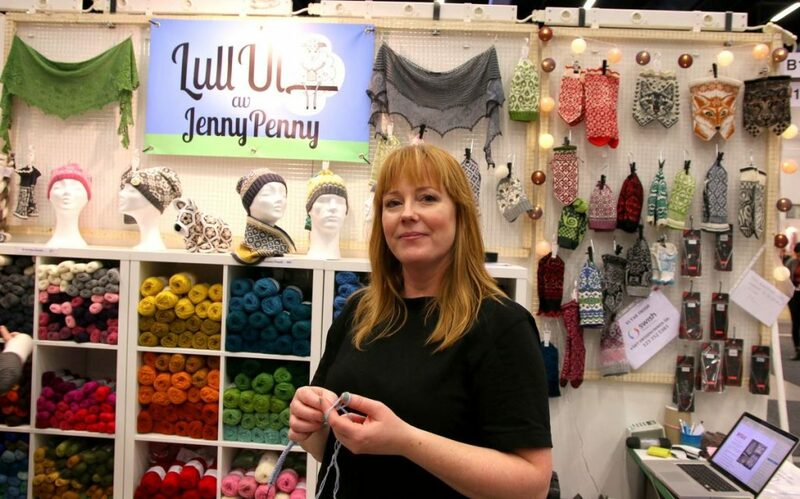 I was happy to see that compared to the last time I was there a few years back there were much more yarn related exhibitors offering their products and also indie designers and dyers, whom I was looking for in vain the last time. 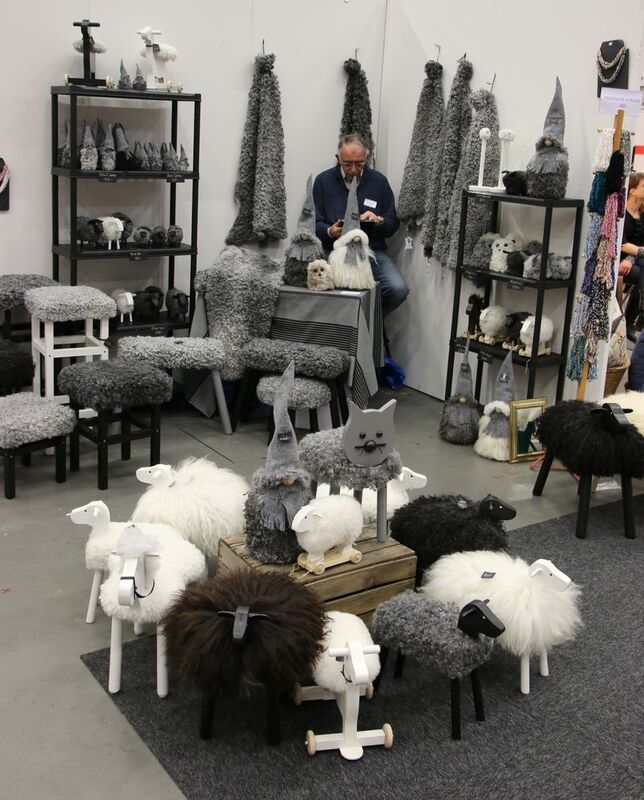 Sweden (like the rest of the Nordic countries) has a real thing for pure sheep wool. 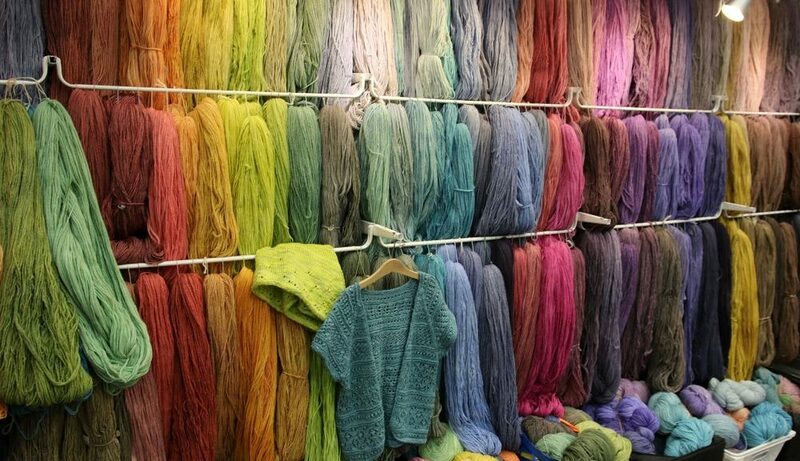 If you like being pampered by yak or cashmere yarns, you should maybe consider another country for your yarn shopping trip. So the dominating yarns here were of course mostly pure wool. Some of the Swedish yarn mills and spinning factories were also present to show their wares. 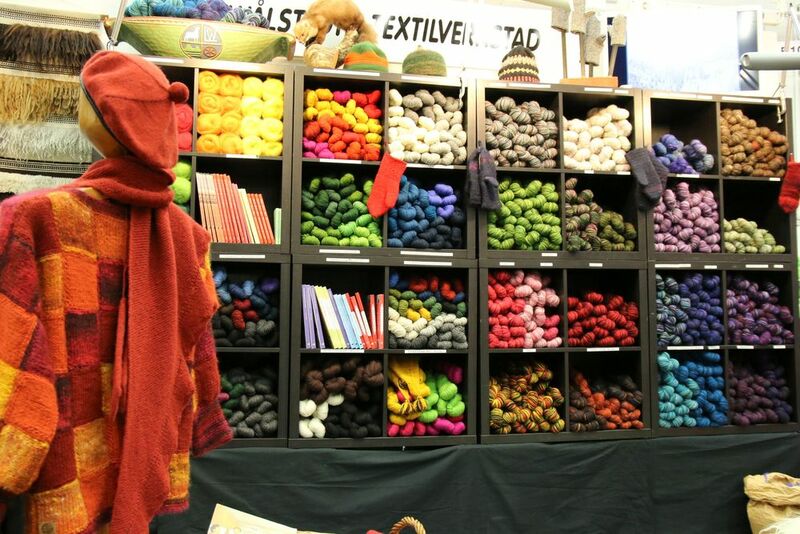 This lovely booth belongs to Wålstedts Textilfabrik from Dalarna and I had a really nice chat with the owner. 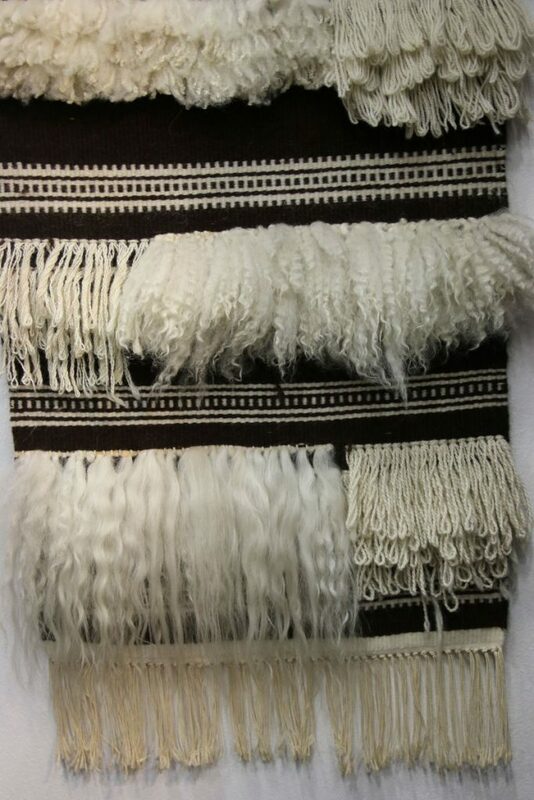 I learned a lot about their family businesses history and products and about the native sheep race called Rya that almost went extinct in the early 1900s because their fiber was simply too long to be used by standardized spinning machines. Here you can see the difference between the hair of the preferred merino-mix sheep (middle) and the Rya sheep hair (last row). 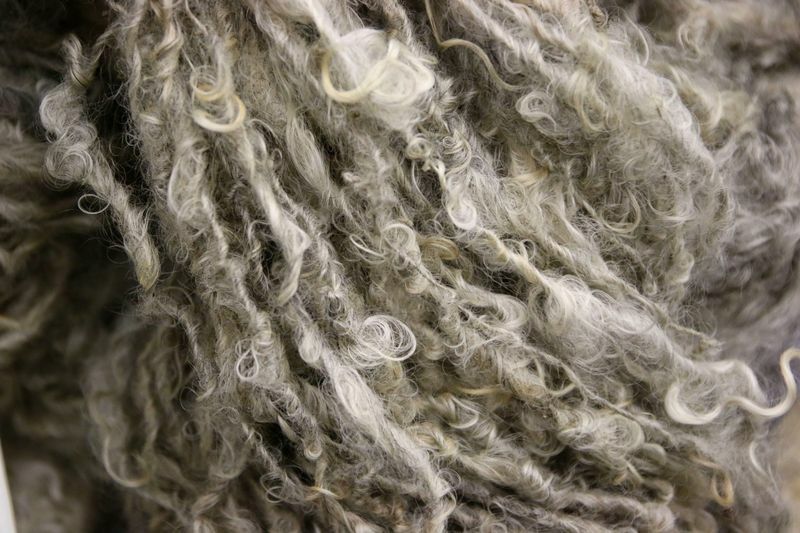 The Wålstedt family adapted their spinning machines to this fiber and helped those sheep survive until today. Oh, and then there are those lovely curly Gotland fibers… I could only resist because I already got some on my Gotland-trip 🙂 I’m still waiting for the perfect project for it to come along. I’m off to knit some of the ideas off my brain now and I hope you’re happy to hear that there are new designs coming soon! Happy knitting!